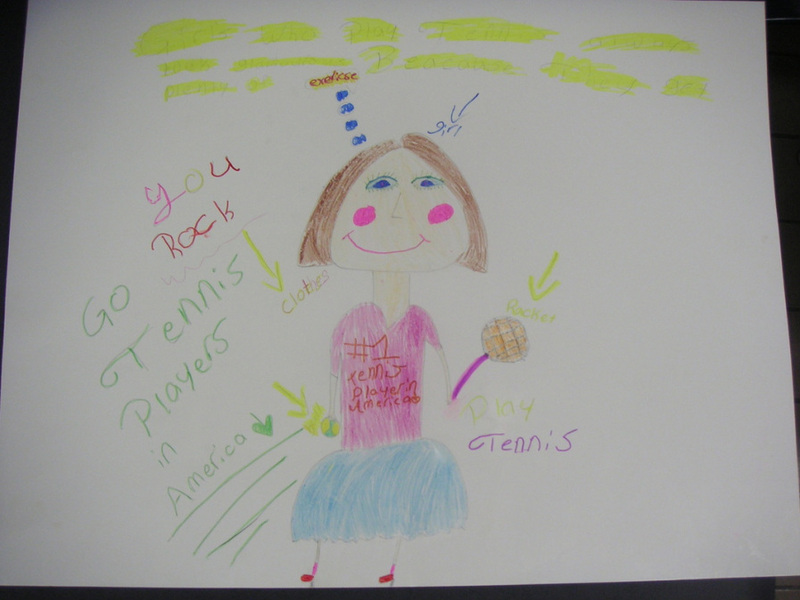 Tennis Art and vocabulary development: Our art students created tennis posters using sentences about tennis that also incorporate grade level appropriate, national standard vocabulary words into their creations. 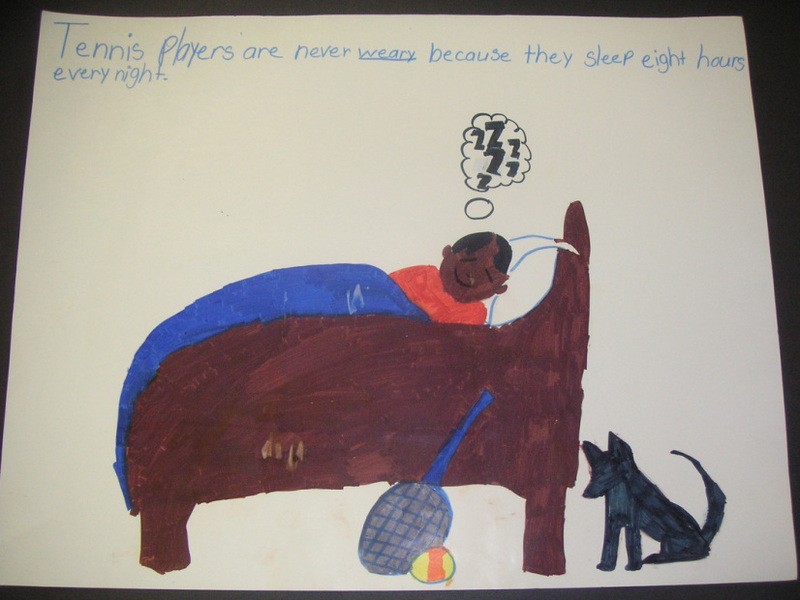 We also stress the importance of healthy eating habits and good sportsmanship in our posters, while at the same time holding a contest to determine winners of tennis racquets and balls. 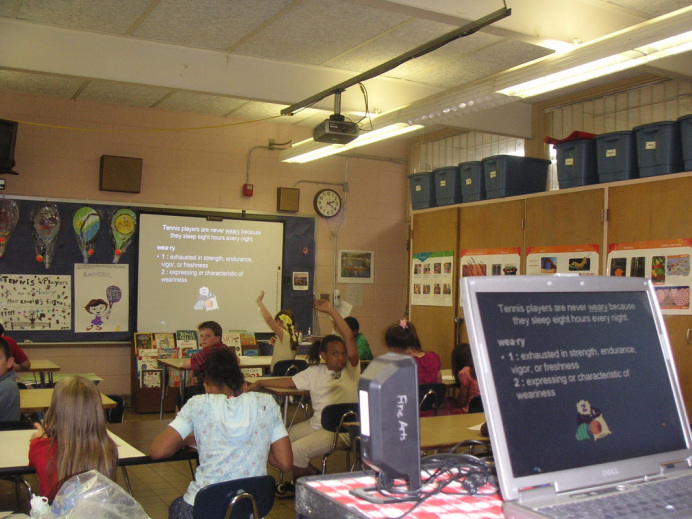 Mrs. Griffith, our art teacher, goes over possible topics that students might choose in creating their posters. 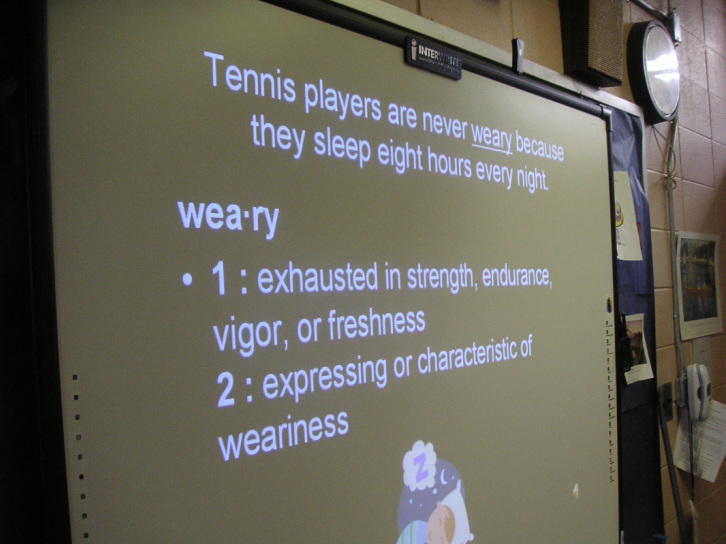 Winning posters were awarded racquets with Quick Start balls (note the prizes hanging on the wall). One of the many vocabulary words from which to choose. 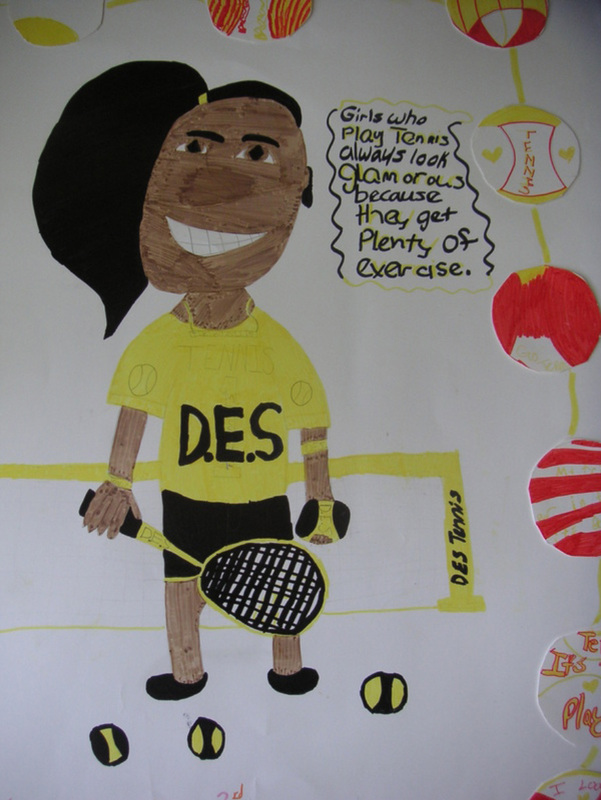 'Glamorous' is the vocabulary word in this winning poster. 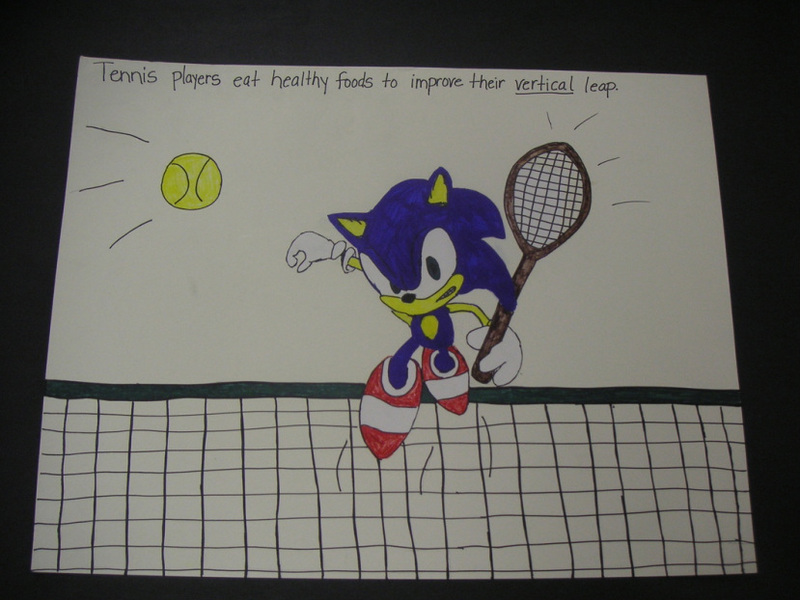 Entries were displayed around the gym walls.